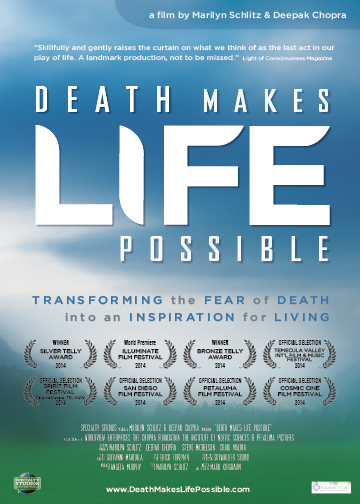 Death Makes Life Possible is available for home and community screenings, and for classroom use to help spark conversations at how popular culture deals with the ever-present fear many have about our own mortality, exploring the mysteries of life and death from a variety of perspectives and world traditions. Choose one of the options below depending upon the type of screening you'd like to organize. You can also download a guide and publicity materials to help plan and promote your screening. DVD with license to host one small screening (1-50 people). For a screening in a school, college, business or library, choose an option below. For license to use the film in a school or college classroom, a public library, business or government agency you must purchase this version from The Video Project. DVD with license to host one community screening for 50 people or more.